29.6.14: via Donau, Generation Blue, Wasser aktiv & Der Mann Facebook pages. 29.6.14: Nationalpark Donau-Auen, Sirene Opernheater, Wien.at, Biorama, Vorarlberg Online, Echo Media Verlag & Haus des Meeres. 27.6.14: Danube Day on You Tube – Danube Day 2014 in Vienna. 26.6.14: Wien Heute – The Danube came to the MQ. 25.6.14: W24 - A day for the Danube. 25.6.14: Vienna Online - Tenth Danube Day for active protection of the Danube. 25.6.14: APA - Danube Day 2014: Actively protecting the Danube. 1.7.14: Plevenzapleven – Danube Day in Baikal celebrated with a Danube school and sweets party. 30.6.14: Posrednik News - Danube Day in Nikopol celebrated with creativity and laughter. 29.6.14: Nova News - Celebrating Danube Day at Sofia Zoo. 29.6.14: DNES+ – Honour Danube Day. 29.6.14: UtroRuse - WWF conserving endangered species on Danube Day. 29.6.14: Dnevnik - Celebrate International Danube Day (June 29) this Sunday at the Metropolitan Zoo. 29.6.14: Mohm Online – Colourful palette of events for Danube Day. 29.6.14: Darik News - Experts participate in Danube Day workshop. 29.6.14: Zov News - Danube Day celebrated with many events. 29.6.14: Bulphoto photo agency – Celebrating Danube Day in Kozloduy. 29.6.14: iNews – Protecting sturgeon on Danube Day. 29.6.14: Ruse Info –Celebrate Danube Day today in Giurgiu. 28.6.14: Vesti – Celebrate Danube Day. 28.6.14: Info Pleven - Initiatives began on Danube Day. 28.6.14: TopNovini – Veliko Tarnovo marks Danube Day with children’s exhibitions. 27.6.14: TopNovini - Festivities begin Danube Day in Nikopol and Belene. 27.6.14: BNT - Bulgarian national flag waves over the Baba Vida fortress on Danube Day. 26.6.14: Darik News – Danube Day art workshop with students from Svishtov. 26.6.14: Konkurent – Celebrate Danube Day. 26.6.14: Tribali – Celebrate Danube Day. 26.6.14: Tribali - Danube Day school competition begins. 19.6.14: Ruse Info - International competition announced for Danube Day. 29.6.14: Dalje - International Danube Day marked in Kopacki Rit Nature Park. 27.6.14: Cuda Prirode - Marking International Danube Day, one of Europe's largest river systems. 27.6.14: Osijek 031 - Celebration of Danube Day in Kopački rit. 24.6.14: Croatian National Tourism Board - Eco festival marks Danube Day. 4.7.14: Augsburger Allgemeine – Summer Dream: Drifting along the Danube in Ingolstadt. 2.7.14: Südwest Presse - Giving space back to nature. 2.7.14: Schwăbische.de – Rottenacker's flagship community. 29.6.14: Augsburger Allgemeine – Danube Day on the river. 29.6.14: Tübingen District Presidency - International Danube Day. 29.6.14: Donau Kurier - A pearl necklace of flood polders. 29.6.14: Galabau landscape gardening magazine - Master plan for protecting biodiversity on the Danube lifeline: new Danube smartphone app. 29.6.14: Federal Ministry for the Environment, Nature Conservation, Building & Nuclear Safety - International Danube Day. 29.6.14: City of Ulm Online: Danube Day with Donaubüro Ulm/Neu-Ulm. 27.6.14: Greenpeace Magazine.de - International Danube Day on the 29th June. 25.6.14: Südwest Presse – Ulm: Before Donaufest, there is Danube Day. 23.6.14: The Green Party Neuburg - International Danube Day. 14.6.14: Augsburger Allgemeine – Experience the river. 14.6.14: Radio IN - Neuburg: International Danube Day. April-Oct 2014: Bavarian State Garden Show - Danube blog. 8.7.14: Danube Flow/Hiva Duna - A lot of smiles on Danube Day. 29.6.14: Jeles Napok – International Danube Day. 29.6.14: Bumm - International Danube Day at Komárom. 29.6.14: Programturizmus - Danube Day 2014. 29.6.14: Danube Flow/Hiva Duna - Danube Day 2014 - Budapest. 27.6.14: Ministry of the Interior – International Danube Day. 27.6.14: Duna Nap 2014 Győr – Facebook page. 27.6.14: City of Győr – Danube Day. 27.6.14: Danube Flow/Hiva Duna - Danube Day 2014 - Győr. 24.6.14: OVF National Water Authority - Central celebration of international Danube Day in Győr. 30.6.14: Black Sea News - International Danube Day celebrated in Dzurdzulesty. 4.7.14: Obiectiv Vocea Brailei - Hundreds of bags of rubbish collected from Danube banks in Braila. 2.7.14: Mesagerul - Prefect Ioan Tintean announces area to be included in a national river planning project. 2.7.14: BistritaNews, ZiareLive, Bistrita24, Rasunetul & Ziare.com - Prefect Ioan Tintean attends new expert meeting of the Somes-Tisa Basin Committee. 2.7.14: Timp Online - Area of the county may be included in a national hydrographic project. 2.7.14: Informatia Teleormanului - Danube Day was marked yesterday at Turnu Magurele. 1.7.14: Journal of Agriculture - Project to conserve wetlands and floodplains along the Danube. 30.6.14: Yahoo! News Romania - Endurance race on the Danube: 17 row from Braila to Galati. 30.6.14: Agerpres National Press Agency - Serbia’s Danube Day 2014 Campaign in aid of flood victims. 30.6.14: Yahoo! News Romania - Green Danube Day: 40 volunteers joined in 'Lets Get Active for the Danube'. 30.6.14: Bihor Online – Danube Day Special. 30.6.14: Gazeta de Bistrita – June 29th Danube Day. 30.6.14: Bihor Online – Final of ‘I love the River Cris’. 29.6.14: Bistrita News – Danube Day 29th June. 29.6.14: Obiectiv Vocea Brailei – Danube Day celebrated in Braila. 29.6.14: Ziarul Ialomita.ro - Danube Day from Feteşti to Făcăeni. 28.6.14: Obiectiv Vocea Brailei - Danube Day competitions and exhibitions. 28.6.14: Adevarul - Danube Day celebrated with a festival of bikes either side of the river. 28.6.14: Galaţi Viata Libera - Sensational fireworks today and tomorrow. 27.6.14: ProBraila - Danube Day celebration programme. 27.6.14: Oltenasul - ‘Let's Do It, Danube!’ & Jiu Water Basin Administration bank clearance action. 27.6.14: Lupa – Jiu Water Basin Administration cleans-up Danube banks. 27.6.14: Cuvântul Libertății – Jiu Water Basin Administration celebrates Danube Day. 27.6.14: Craiova Forum - Calafat: Jiu Water Basin Administration volunteers collect 100 bags of rubbish from Danube banks. 27.6.14: Adevarul.ro - Banks to be cleared of waste in Braila on Danube Day. 27.6.14: Cuget Liber – Coast celebrates Danube Day. 27.6.14: Telegraf Online – EPA employees photography exhibition. 27.6.14: Adevarul - Danube Day, photo exhibitions, contests and ...launching of a raft made of water reeds. 27.6.14: Pressa De Gelati - Danube Day, or the holidays of Galati. 27.6.14: Timisoara Stiri News - Extensive greening of the Danube. 27.6.14: Gazeta De Sud - ABA Jiu start work on clearing Danube banks. 27.6.14: Cuvantul Liber Mures – Danube Day. 26.6.14: Radio Resita - Greening the Danube Day in Socol. 26.6.14: Braila Chirei - Danube Day invitation from the City of Braila. 26.6.14: Braila Chirei – Danube photographic exhibition. 26.6.14: Ediție Specială Oltenia region daily – Getting active for the Danube rivers. 26.6.14: Obiectiv Vocea Brailei – Rubbish cleared on both sides of the river. 26.6.14: Ziua de Constanta – Danube Day campaign to green Danube banks. 26.6.14: Realitatea - Danube Day campaign to green Danube banks. 25.6.14: Gazetta De Sud - International Danube Day celebrated on Sunday with river clean-up. 25.6.14: UNIMEDIA - Giurgiuleşti will celebrate International Danube Day. 24.6.14: Gazetta De Sud - International Danube Day marked in Craiova. 19.6.14: Presa De Galaţi – Danube Day: the festival of Galaţi. 17.6.14: Ediție Specială – students win prizes in ‘Let’s Do It, Danube!’ essay & art competition in Jiu Water Basin Administration. 16.6.14: Ziarul de Calafat - Gheorghe Brăescu Secondary School in Calafat awarded in in the ‘Let’s Do It, Danube!’ competition. 16.6.14: Craiova Forum – Dolj: The best ‘Let's Do It, Danube!’ essays and art are awarded. 16.6.14: Adevarul.ro – Sturgeon baptism 12-15th June 2014: For the 3rd year, Apa Nova Bucharest repopulate river with 1000 sturgeon. 11.6.14: Yahoo! News Romania - Two Severin men to cycle the Danube. 9.7.14: Dnevnik - Danube Day campaign devoted to flood relief. 5.7.14: Banoštor Tourism Association - Danube Day marked in Banoštor. 1.7.14: Magyar SZO Online – Danube Day in Sombor. 30.6.14: RTS – Danube Day – flood relief. 30.6.14: Negotin Café - Danube Day. 30.6.14: In Serbia - Belgrade – This year's Danube Day campaign, by the Ministry of Agriculture and Environmental Protection and the Coca Cola System, aims to raise funds for flood-affected regions. 30.6.14: B92 – Belgrade - This year's Danube Day campaign aims to raise funds for flood-affected regions, organizers announced on Monday. 30.6.14: In Serbia - Gojkovic: Danube is Serbia’s link to Europe. 29.6.14: RTS – Danube Day marked in Banoštor. 29.6.14: RTS - Danube Day dedicated to flood relief campaign. 29.6.14: Radio Television Kragujevac - Danube Day celebration. 29.6.14: Blic Online – Highlighting the Danube in Smederevo. 29.6.14: Press Online Media – Today is Danube Day. 29.6.14: Musicar Flyfishing magazine – Marking Danube Day. 28.6.14: Blic Online - Marking Danube Day: in Ada today and with the Caravan for a Living Danube tomorrow. 28.6.14: 24 Sata - Danube Day celebration begins in Serbia. 28.6.14: Naslovi.net - Danube Day celebration begins in Serbia. 27.6.14: Indjija.net - Marking Danube Day in Beshka. 26.6.14: RTV - Restoration of wetlands along the Danube. 26.6.14: Novosti - Project to restore of wetlands and floodplains along the Danube. 26.6.14: SOinfo – Danube Day in Bezdanu. 23.6.14: B92 - Zemun: Wine Festival on the Danube. 29.6.14: Panorama.sk – Danube Day 2014. 29.6.14: TERAZ Magazine - Today is International Danube Day. 29.6.14: Pozri -Today is International Danube Day. 23.6.14: Zdravie – International Danube Day. 21.6.14: TA3 TV News – Slovakia’s Danube Day celebrated early this year. 21.6.14: Ohlas Noviny - Celebrating the Danube in Bratislava this Saturday. 19.6.14: BVS Bratislava Water Company – 29th of June: International Danube Day. 29.6.14: STA Slovenian Press Agency - 29 June is the International Day of the Danube River. 4.7.14: Transcarpathia Online – Danube Day. 4.7.14: Uzhgorod.net - Danube Day celebrated by Tiachiv water management. 4.7.14: Coca-Cola Hellenic News - Danube Day 2014. 3.7.14: Poragovorit - Swim along the Danube in Odessa oblast. 30.6.14: UA Reporter – Transcarpathian children create a huge map of Ukraine for Danube Day. 30.6.14: Zik - Half a ton of plastic debris collected and 100 trees planted on Danube Day in Zakarpattya. 30.6.14: Karpatskij Objektiv - Half a tonne of plastic collected at Carpathian Danube Day. 30.6.14: BEI Environmental News - Huge map & half a ton of rubbish collected on Danube Day in Zakarpattya. 30.6.14: Zaholovok - Giant map & half a ton of rubbish collected on Danube Day in Zakarpattya. 30.6.14: Zakarpattya - Transcarpathian children create a united map of Ukraine & collect over 500 lbs of PET bottles. 29.6.14: 7Dniv Info – Battle of the plastic bottles in Baranyntsi, Uzhgorod region. 29.6.14: Trubyna – Creation of Ukraine river map in Beregiv rayon. 28.6.14: Zakarpattya Online - ‘Alley of the Divine Heroes’ created in Kvasovo. 28.6.14: Zaholovok - Danube Day celebrated in Zakarpattya. 28.6.14: You-tube - Danube Day in Baranyntsi. 24.6.14: Zak-pod Transcarpathia Online – International Danube Day. 23.6.14: UA Reporter – Zakarpattya children to create a Danube Day map of Ukraine the size of a house. 23.6.14: Karpatskij Objektiv - Danube Day in Transcarpathia to set Ukrainian record. 23.6.14: Tour Inform Zakarpattya - Zakarpattya celebrate Danube Day. 23.6.14: News Uzhgorod – Creation of huge children's map of Ukraine and ‘Alley of Divine Heroes’ on Danube Day in the Carpathian region. 29.6.14: EU Danube Region Strategy - Danube Day 2014 is a celebration of a cleaner, safer river following 20 years of international cooperation. 29.6.14: Coca-Cola Hellenic Bottling Company - The Green Danube Partnership: Danube Day. 27.6.14: WWF – Danube Day 2014: Much more about awareness and solidarity than ever before. 27.6.13: Ad Hoc News – Danube Day 2013: Active protection for the habitat of the Danube. 29.6.13: Ekotim - Danube Day celebration at the spring of the Bosna River. 28.6.13: SensServis Agencija on You-Tube - Ermina Salkičević-Dizdarević, ICPDR President in 2013. 28.6.13: SensServis Agencija on You-Tube - Rijad Tikvesa of Ekotim. 28.6.13: SensServis Agencija on You-Tube - Filip Teodorescu, Romanian Ambassador to Bosnia-Herzegovina. 28.6.13: SensServis Agencija on You-Tube – Danube Day 2013 presentations. 28.6.13: SensServis Agencija on You-Tube – Danube Day 2013. 27.6.13: SDP - Celebration of the Danube from all sides. 2.7.13: Posrednik News - Large and small flocked to Danube Day in Nikopol. 1.7.13: ZOV News – Danube Day celebrated with numerous events. 1.7.13: Dolna Mitropolia public administration – Danube Day in the village of Baikal. 1.7.13: Briag News.BG - Party organised for Danube Day in Baikal. 1.7.13: Energy Online.bg – Danube Day celebrated in Pleven. 1.7.13: UTRO Ruse - Romantic waltzes and jazz at the pier on Danube Day. 30.6.13: In Pleven Pleven – Celebrating Danube Day with a holiday. 29.6.13: iNews – “Be active for the conservation of sturgeon" is the Danube Day motto this year. 29.6.13: Darik News – Pleven: Winners to be announced at the Danube Logo competition. 29.6.13: Pleven Live.BG - Today is Danube Day. 29.6.13: BNR Horizon – Celebrating Danube Day for the tenth consecutive year. 29.6.13: Peika – Danube Day. 28.6.13: BNR Radio Vidin – Novo Selo commemorates Danube Day. 28.6.13: Darik News – Ruse: Conservation of sturgeons on Danube Day. 28.6.13: XpatLoop – Danube Day 2013: WWF Gets Active for the Sturgeons and more. 28.6.13: Info Pleven – Initiatives begun on Danube Day. 27.6.13: Ministry of Environment and Water – June 29th Danube Day. 26.6.13: Briag News.BG – Ruse Concert for Danube Day. 25.6.13: Kvorum Silistra – Celebrating the river with a regatta in Silistra. 25.6.13: Den.bg News - Celebrating the river with a regatta in Silistra. 25.6.13: Darik News – Ruse: Regatta to celebrate the river in Silistra. 20.6.13: MOHM Online – Annual Danube competition. 20.6.13: Regional Inspectorate of Environment and Water (Vratsa) – Danube Day June 29th. 20.6.13: Regional Inspectorate of Environment and Water (Vratsa) – Danube Art Master competition. 20.6.13: Centre for Environmental Information and Education – Danube Art Master 2013. 18.6.13: Tribali – Mark Danube Day on June 29. 11.6.13: Kozloduy-bg Info - Competition organised for Danube Day. 10.6.13: Darik News – Pleven: Annual contest dedicated to Danube Day. 1.7.13: Osijek 301.com – "Danube people" artwork wins "Danube Artist Master 2013". 29.6.13: Union for the Morava River – Danube Day 2013 Photo Archive. 20.6.13: Union for the Morava River – Danube Day celebration and award ceremony in Olomouc. 30.6.13: Donaukurier.de – Wet but happy: Bad weather didn't spoil the mood at Danube Day in Ingolstadt. 30.6.13: Sűdwest Presse – Donaubűro’s Danube Day Family Afternoon in Ulm. 29.6.13: BMU Federal Ministry for the Environment, Nature Conservation and Nuclear Safety – Danube Day. 28.6.13: Greenpeace Magazine Germany – On the 29th of June is Danube Day. 27.6.13: Ulm-News - Danube Day in the market place in Ulm. 27.6.13: Augsburger Allgemeine - Danube Day: Flooding is receding in time for Danube Day on Saturday. 25.6.13: Donaukurier.de - Danube Day: A day dedicated to the Danube. 17.4.13: German Bundestag - Sturgeon to become indicators for the Danube. 4.7.13: Danube Flow / Hív a Duna! – Danube Day 2013 report. 3.7.13: ÚJ SZÓ – Well Done to Danube Day. 2.7.13: National Environment Institute – Celebrating the Danube. 30.6.13: Minden Ami Fehérvár – International Danube Day. 29.6.13: Hirek.SK - Today is the International Danube Day. 29.6.13: Hirado.hu - Programme to celebrate International Danube Day. 29.6.13: Duna Nap – Danube Day 2013. 29.6.13: National Geographic Hungary – International Danube Day. 29.6.13: Danube Flow / Hív a Duna! - Danube Day 2013 – Budapest. 29.6.13: MINDS’PACE – Danube Flow - Hív a Duna! 2013. 29.6.13: Felvidék.ma – International Danube Day 2013. 29.6.13: OBUDA – International Danube Day. 29.6.13: Fejér Megyei Hírmondó - Adonyi Subregional Danube Day. 29.6.13: Mezöföldiēlet - Danube Day in Adony. 29.6.13: Alkony Wildlife Magazine – International Danube Day. 29.6.13: Lábatlan – Commemorating Danube Day in Győr. 28.6.13: XpatLoop – Danube Day 2013 in Hungary, 29 June. 28.6.13: Danube Flow / Hív a Duna! - Danube Day 2013 – Győr. 28.6.13: Életforma - Free programmes in Győr and Budapest for International Danube Day. 27.6.13: Hirado.hu - TV’s Baloo Bear at Children’s Island. 27.6.13: The Budapest Egotist - Danube Day on Saturday: Embracing Our River. 26.6.13: Ittlakunk.hu - Danube Day on Saturday at Kopaszi Dam. 26.6.13: Adam Kobrizsa on You-Tube - International Danube Day: Call of the Danube! Danube Flow! 26.6.13: Hirado.hu - Family programmes for International Danube Day. 26.6.13: PDTV on You-Tube - Danube Day. 25.6.13: Hungarian Academy of Sciences - Danube Day: educational programs at the Ecology Institute. 24.6.13: Duna 1 – International Danube Day: for a sporty, chilled out time. 13.6.13: Adonyi Rowing and Watersports Association – Danube Day. 13.6.13: Duol.hu – Dragon Danube Day. 6.6.13: eHam.net - Event station HG7DANUBE is QRV during June to celebrate Danube Day on the 29th. 6.5.13: Perkata Nagyközség - Adonyi Subregional Danube Day. 22.3.13: Fesztivalkalauz.hu - Danube Flow - Danube Calling. 29.6.13: Ministry of Regional Development and Construction – Today we celebrate Danube Day. 9.7.13: Timp Online - Prefect John Ţintean presents at second meeting of the Somes-Tisa Basin. 9.7.13: PresaOnline - Prefect John Ţintean presents at second meeting of the Somes-Tisa Basin. 9.7.13: ZiareLive - Prefect John Ţintean presents at second meeting of the Somes-Tisa Basin. 9.7.13: BistritaNews - Meeting of the Someş-Tisa Water Basin Committee. 9.7.13: NewsBN - Ţintean: We are directly responsible for what flows into the Danube. 9.7.13: Messagerul - Prefect John Ţintean presents at second meeting of the Somes-Tisa Basin. 7.7.13: Info Urziceni – Head of the Romanian Naval Authority attends Danube Day celebrations in Ialomiţenii. 3.7.13: Radio-Television Valcea - Danube Day in Valcea. 2.7.13: Arena Valceana - Danube Day celebrated under the slogan: Get active for the sturgeon! 2.7.13: Vox TV Galati-Braila – Danube Day Regatta. 2.7.13: Arena Valceana.ro - Danube Day celebrated this year with the slogan "Be active for sturgeon!" 1.7.13: ARQ - Danube Day celebrated in Arad Water Management System. 1.7.13: Info ONG – Danube Day 2013 dedicated to the sturgeon: steps to protect the species. 1.7.13: State Environment Inspectorate - Danube Day in Giurgiuleşti. 30.6.13: NewsAR.ro - Danube day is celebrated in Arad. 30.6.13: Adevarul .ro Calarasi - Photo fun, water and a dry Danube Day. 30.6.13: Galati Blog Forum – Get active for the sturgeons and the rivers: international Danube Day. 30.6.13: Arges Focus - Arges Vedea Water Basin Administration celebrates Danube Day. 29.6.13: Giurgiu Veanul - Giurgiu hosts EU Danube Regions Strategy discussion. 29.6.13: Dunarea de Jos Euroregion Blog – Open Letter to the International Day of the Danube. 29.6.13: Radio Oltenita-tv on You-Tube – Danube Day in Oltenita 2013. 29.6.13: Cuvantul Liber - Danube Day. 28.6.13: Bihorstiri.ro - Cris rafting to celebrate the Danube. 28.6.13: City News.ro - Rafting on Danube Day. 28.6.13: Crisana - Basin Committee meeting: Danube Day marked in Oradea. 28.6.13: Crisana - Rating on the Repede. 28.6.13: BrailaChirei - Danube Day in Braila region. 28.6.13: InfoBraila - Braila students awarded on Danube Day. 28.6.13: Gazeta de Sud – Olt: Danube Day celebrated at Gura Padinii. 28.6.13: Gazeta de Sud – Danube Day marked by the Jiu Danube Basin Committee. 28.6.13: City News.ro – Rafting on the Crişul Repede for Danube Day. 28.6.13: Viata Libera - Festival, rock music and films for Danube Day in Galati. 28.6.13: Obiectiv-online.ro - Ivan Patzaichin at Danube Day in Clarasi. 28.6.13: Valahia TV on You-Tube – International seminar in Giurgui for Danube Day. 28.6.13: Valahia TV on You-Tube – Invitation to Danube Day in Giurgiu. 28.6.13: Salvati Delta on You-Tube – Danube Day 2013 – Get active for the sturgeons. 28.6.13: GRTV Giurgiu – Danube Day Swim. 28.6.13: Adevarul .ro Galati – Exhibition of Danube maps, lithographs and postcards. 28.6.13: Giurgui Veanul – Invitation to Danube Day events. 27.6.13: Viata Libera – Celebrate the river for 5 days: Danube Day 2013. 27.6.13: Actualitatea - Celebrate Danube Day with EcoStuff Romania! 27.6.13: ETV News on You-Tube - Celebration of the Danube! on 06.27.2013 in Galaţi. 26.6.13: Arges TV on You-Tube - Danube Day: children celebrate! 26.6.13: Adevarul .ro Galati - International Danube Day to protect sturgeons. 25.6.13: Greenly - International Danube Day and “Sturgeon 2020”. 25.6.13: Informatia de Bihor - Rating for aqua volunteers. 25.6.13: Editia.ro - Danube Day in Calarasi, June 29. 25.6.13: Absolut TV on You-Tube – Celebrate Danube Day. 25.6.13: Bitpress - Arges-Vedea Water Basin Administration celebrates Danube Day. 25.6.13: Newspapers on the net - Arges-Vedea Water Basin Administration celebrates Danube Day. 24.6.13: Radio Romania - Danube Day 2013 - dedicated to promoting and protecting the sturgeon. 21.6.13: Communicate-Online: Press Release – Danube Day 2013 – Sturgeon 2020 programme. 6.7.13: BIZ Life - Celebrating Danube Day’s 10th anniversary in Serbia. 2.7.13: Danube Day in central Belgrade on Vimeo: I Love the Danube. 2.7.13: Ekologija Magazine – Danube Day anniversary celebration. 1.7.13: Novosti Online – Danube Day in Banoštor. 1.7.13: Municipality of Zemun – Danube Day event. 30.6.13: Regeneracija Dunava Eco Music Fest - Regeneration of the Danube 2013. 30.6.13: WWF - World Wide Fund for Nature celebrates Danube Day 2013. 30.6.13: Balkans.com - Huge untapped potential for economic development of Serbia's Danube regions. 29.6.13: RTS Radio-televizija Srbije – The development of the Danube region in Serbia. 29.6.13: RTV Radio-Televizija Vojvodine – International Danube Day Novi Sab / Belgrade. 29.6.13: RTV Radio-Televizija Vojvodine – Danube Day 1. 29.6.13: RTV Radio-Televizija Vojvodine on You-tube – Danube Day inclusion. 29.6.13: RTV Radio-Televizija Vojvodine on You-tube – Danube Day 2. 29.6.13: 24 Sata - Danube Day marked on Zemun Quay. 29.6.13: Blic Online – Danube Day marked at Zemun Quay. 29.6.13: inSerbia - EUR 3.5 million to be realized in the Danube municipalities in Serbia. 29.6.13: Školarenje - Danube Day in Banoštor 29th June 2013. 29.6.13: Novi Sad administration – Danube Day in Novi Sad photo gallery. 28.6.13: Radio Odžaci - Danube Day celebration tomorrow in Bogojevo. 28.6.13: WWF - Danube Day 2013 under the slogan "Get active for the sturgeons!" 28.6.13: Ministry of Agriculture, Forestry and Water Management Press Release. 25.6.13: Diocese of Krusevac - Danube Day on Rasini. 25.6.13: TVViminacium on You-Tube - Danube Day in Kostolac 25.6.13. 25.6.13: Danas.rs – We love the Danube together. 25.6.13: Tourist Organization of Serbia - "Danube Regeneration" Eco-music festival at Bački Monoštor. 24.6.13: Djerdap National Park – Marking Danube Day 2013. 22.6.13: Slavisa Paunkovic on You-Tube - Danube Day 2013: films 1-11. 21.6.13: RTV Sreće – Danube Workshop in Apatin. 20.6.13: CPN – Centre for the Promotion of Science – I Love the Danube. 20.6.13: International Water Year 2013 – Danube Day. 20.6.13: Lagumica Creative Energy – Danube Day 2013 in Belgrade. 20.6.13: National Geographic Serbia – Celebration of the Danube. 16.6.13: inSerbia - Serbia celebrates the Danube Day. 15.6.13: Svetnauke.org – “I Love the Danube” International Danube Day. 6.6.13: Kladovo Tourist Organisation – Danube Day celebration in Kladovo 6th June 2013. 29.6.13: Bratislava Noviny – Today is international Danube Day. 29.6.13: Webnoviny.sk - The world commemorates International Danube Day. 29.6.13: Pozri.sk - The world commemorates International Danube Day. 29.6.13: Ministry of Environment – Danube Day 2013. 29.6.13: Kulpin municipality - Danube Day. 29.6.13: Aktuality.sk – Today is International Danube Day. 29.6.13: News.sk – The world commemorates International Danube Day. 28.6.13: Radio Slovensko – Danube Day. 28.6.13: Tlacovespravy.sk - Danube Day celebrated George Kemka and Water Academy winners. 28.6.13: Daphne – Water Academy completes its voyage during international Danube Day celebrations. 27.6.13: Ahoj Komarno.sk - International Danube Day on Saturday: relaxation and sport. 26.6.13: PDTV on You-Tube – Danube Day. 23.6.13: Netky – Danube water sprite joins in Danube Day 2013. 22.6.13: Bratislava sme.sk – Today we celebrate the Danube in Bratislava. 22.6.13: Slovak Hydrometeorological Institute’s SHMU News – Danube Day 2013. 22.6.13: Vodohospodárska výstavba – Danube Day 2013 Photo Gallery. 22.6.13: Department of Water Resources Management – Danube Day 2013 Photo Gallery. 22.6.13: Petrzalcan.sk - Today is Danube Day. 17.6.13: BROZ – Danube Day 2013. 14.6.13: Vodohospodárska výstavba – Danube Day 2013. 29.6.13: Coca-Cola HBC Slovenija - You Are My River 2013 Superhero for your river! 3.7.13: Vybor.ua – Ukraine’s longest exhibition takes place in Uzhgorod. 3.7.13: Zakarpattya Regional Council - Danube Day: 20 tonnes of glass bottles collected from the Borzhava. 2.7.13: Transcarpathia Regional State TV and Radio – Danube Day. 2.7.13: Tysa 1 TV on You-Tube - Tisza-Danube Day. 2.7.13: Zakarpattyachko – This year’s Danube Day celebrated in Uzhgorod. 2.7.13: Golos Ukraine – Transcarpathia hosts Ukraine’s longest photographic exhibition. 2.7.13: JOIN News - This year’s Danube Day celebrated in Uzhgorod. 2.7.13: Panorama Mukachevo – Debris jamming the Borzhava is cleared during Danube Day. 1.7.13: UKR.net - Uzhgorod celebrates Danube Day. 1.7.13: Mukachevo.net - Record breaking exhibition in Uzhhorod + photo gallery. 1.7.13: Uzhgorod.net - Danube Day celebrated in the regional centre. 1.7.13: Transcarpathia News / Zaholovok - PET bottles and trash jamming the Borzhava River cleared. 29.6.13: ODT Odessa Regional State TV and Radio – Danube Day 2013. 29.6.13: Transcarpathia News / Zaholovok Uzhgorod – Danube Day 2013 Transcarpathia Water Beauty exhibition. 29.6.13: Transcarpathia News / Zaholovok Uzhgorod on You-Tube – Danube Day: Transcarpathia Water Beauty exhibition. 29.6.13: Ukrainian State Water Resources Agency – Danube Day 2013 at the Borzhava River. 29.6.13: EU Delegation to Ukraine - Danube-Tisza Day: Local Environment Action Plan in practice. 29.6.13: Odessa Regional Department of Water Resources – June 29: International Danube Day. 29.6.13: Uzhgorod City Council Newspaper – Danube Day celebrated in Transcarpathia. 29.6.13: Carpathian Regional Information Centre – Danube Day 2013 Press Release. 29.6.13: WWF - Danube Day 2013: WWF protect sturgeon and other species. 29.6.13: SBS Support to the Ministry of Ecology and Natural Resources of Ukraine - Local Action Plan Implementation for the Environment at Danube-Tisza Day. 28.6.13: UA Reporter – Record breaking photographic exhibition on bridge over River Borzhava in Uzhgorod. 26.6.13: Mukachevo. net - Debris jamming the Borzhava is cleared during Danube Day In Transcarpathia. 26.6.13: Transcarpathia Online - Transcarpathia show on Danube Day in Uzhgorod. 26.6.13: Nowyny.com – Clearing the debris jam from the Borzhava on Danube Day in Transcarpathia. 26.6.13: UA Port – Transcarpathia celebrate “eco” Danube Day. 25.6.13: UA Reporter – Clearing the debris jam from the Borzhava on Danube Day in Transcarpathia. 18.6.13: Transcarpathia News – Danube day celebrated in Transcarpathia. 18.6.13: Mukachevo.net – Transcarpathia celebrate Danube Day. 15.6.13: Transcarpathia Online – Transcarpathia Danube Day celebrated with an eco-procession of the Cross. 5.7.12: Vienna Online - How beautiful is it on the Blue Danube? 29.6.12: Libertatea - You were in the Delta? 3.7.12: Danas - Serbia and Bulgaria celebrate Danube "Blue week"
23.9.11 - Germany Wins International Danube Art Master Competition 2011. German children have won the ‘2011 International Danube Art Master' competition, the ICPDR announced today. Danube Art Master 2011 Press Release 9.25 KB View all the winning artworks in each of the 14 countries on Flickr. 4.7.11: Schoolboy from Zakarpattya wins Ukrainian stage of the Danube Art Master competition. Read the article in: Trans Atlas; Zakarpattya Online; ZiK; Ukr.net; UkrInform; Ua Reporter. 29.6.11: The annual Children's Festival, "The Tisa - the Danube's Younger Sister", announces winners. Read the article in: RIO News; KarpatNews; Mukachevo.net. 29.6.11: Representatives of five European countries unveil plaques at the source of the Tisza. Read the article in: KarpatNews; ZiK; Mukachevo.net; Vsapravda.info; Uzhgorod.net.ua; Trans Atlas; Ua Reporter. 28.6.11: Kolyba.org - 2011 Festival "Tisa - the Danube's Younger Sister". Read the article. 27.6.11: RIO News - Representatives of five countries demonstrate their desire to protect the Tisza. Read the article. 27.6.11: Zakarpattya Online - Symbolic plaques from five countries at the source of the Tisza. Read the article. 27.6.11: Kolyba.org - Memorial plaques for the Tisa Danube Region. Read the article. 25.6.11: Ukrafoto - Tisza plates installed. Read the article. 23.6.11: - Ukraine and EU celebrate Danube Day. Read the article at: Delegation of the EU to Ukraine; ENPI Information and Communication Support Project - Euro East. 16.7.11: Eco Magazin - Danube Day in Romania: Cormorant Ecology Club event in Gircov; Sulina Gourmet Festival in the Danube Delta; Chefs compete at the Gourmet Festival. Read the articles. 4.7.11: Think Outside the Box - Danube Day. Read the article. 4.7.11: WWF Romania - First celebration of the Danube for 80 children from Giuvarasti and Gîrcov. Read the article. 4.7.11: Stiriong.ro - Danube Day marked by WWF in Gircov and Giuvarasti, Olt County. Read the article. 30.6.11: Eco Magazin - WWF launch new interactive platform for the Danube on Danube Day. Read the article. 30.6.11: Eco Magazin - Danube Day in Calarasi - exhibition. Read the article. 30.6.11: Observator De Calarasi - Danube Day marked by the Environmental Protection Agency of Calarasi. Read the article. 29.6.11: Danube Day in Moldova Noua and Baile Herculane (Banat Basin Committee). Read the article. 29.6.11: Giurgiu Net - Danube Day in Giurgiu. Read the article. 29.6.11: Braila.Ziare.com - Danube Day celebrated through art in Braila. Read the article. 29.6.11: Realitatea.net - Wednesday was Danube Day: Get actively involved in water protection. Read the article. 29.6.11: Bihor Online - Danube Day in Oradea, Bihor County (Cris Water Basin Administration). Read the article. 29.6.11: Informatia De Severin - Danube Day in Drobeta-Turnu-Severin (Jiu-Danube Basin Committee). Read the article. 29.6.11: AgroInfo - Danube Day in Galati. Read the article. 29.6.11: Radio Voces Campi - Calarasi Environmental Protection Agency marks Danube Day with an exhibition of drawings. Read the article. 29.6.11: Observator De Calarasi - Lower Danube Museum Exhibition for International Danube Day in Calarasi. Read the article. 29.6.11: Radio Resita - Danube Day celebrated in Baile Herculane, Caras-Severin (Banat Basin Committee). Read the article. 29.6.11: Viata Libera - Danube Day in Galati. Read the article. 29.6.11: ValahiaTV - Danube Day show in Giurgiu. Read the article. 29.6.11: Supravietuitor's Blog - Danube Day. Read the blog. 28.6.11: Spinul bihorean - Danube Day (Apa Basin Committee). Read the article. 28.6.11: Radio Resita - Danube Day morning in Moldova Noua. Read the article. 28.6.11: Ziarul De Calafat - Danube Day celebrated in Calafat. Read the article. 27.6.11: Crisana - Danube Day in Oradea. Read the article. 23.6.11: Argeseanul.com - Danube Day (Arges Basin Water Administration). Read the article. 1.6.11: GreenMedia - Become the Danube Art Master 2011. Read the article. 8.7.11: You Tube - Danube Day Balloon release in Vidin. View the article. 29.6.11: "Danube +" - Danube Day invites you to celebrate one of Europe's greatest rivers. Read the web page. 11.7.11: Balkan Magazine - Danube Day celebration. Read the article. 9.7.11: Blic Online - Central celebration for the International Day of the Danube. Read the article. 9.7.11: Press Green - Celebration for the International Day of the Danube. Read the article. 8.7.11: 24 Sata - Danube Day celebration in Vinci. Read the article. 8.7.11: Voice of the Public - Danube Day "Green Summer" started in Vinca. Read the article. 7.7.11: Press Green - Celebrate Danube Day on Saturday. Read the article. 1.7.11: 24 Sata - Celebration of Danube Day is postponed until 9 July. Read the article. 1.7.11: SMedia - Danube Day celebration postponed until Saturday 9th July. Read the article. 1.7.11: eZemun - Celebration of Danube Day postponed until 9 July. Read the article. 28.6.11: Radio Srbija - Danube Day celebration. Read the article. 28.6.11: Ministry of Environment and Spatial Planning - 29th June, International Day of the Danube River. Read the press release. 7.7.11: Szolgáltatók Magazinja - Danube Day in Gyor. Read the article. 1.7.11: Kultúra.hu - Danube Trail: artworks by contemporary artists along the River. Read the article. 30.6.11: Greenfo - Strategic issue for the Protection of the Danube. Read the article. 30.6.11: Kisalfold.hu - Danube Day in Gyor. Read the article. 30.6.11: Kisalfold.hu - Photos of Danube Day in Gyor. Read the article. 30.6.11: Krónika - Boat Racing on the Danube at Oradea on International Danube Day. Read the article. 29.6.11: Metropol.hu - Hungary receives the Danube travelling flag. Read the article. 29.6.11: VacOnline - The Danube connects 81 million people - International Danube Day in Budapest. Read the article. 28.6.11: Monitor Magazin Online - Danube Day. Read the article. 27.6.11: hg.hu blog - WWF Water Pistol Battle. Read the blog. 27.6.11: OS - Országos Sajtószolgálat - Danube Art Master 2011 creative competition prize-giving event. Read the article. 25.6.11: Budapester Zeitung - International Conference of the Young Citizens Danube Network. Read the article. 22.6.11: Prae.hu - Danube party: three days, eleven locations, close to a hundred events. Read the article. 8.6.11: Biology, Ecology and Chemistry Magazine for Schools - Danube Art Master 2011. Read the article. 1.6.11: Biology, Ecology and Chemistry Magazine for Schools - Danube Art Master 2011: International School Competition. Read the article. 29.6.11: Borealis - Danube Day 2011. Read the article. 4.7.11: You Tube - Bilanz Danube Day 2011. View the interview with the Manager of the Donaubüro Ulm. 3.7.11: You Tube - Danube Day in Ulm. View the article. 2.7.11: Südwest Presse - Immersion in the river for Danube Day. Read the article. 2.7.11: Augsburger Allgemeine - Getting to know the river as a living space: Ulm celebrates Danube Day for the first time. Read the article. 29.6.11: Schwarzwälder Bote - Flags blown by Danube winds. Read the article. 29.6.11: Südkurier - Danube Day: Flags hoisted at the confluence of the Danube today. Read the article. 29.6.11: Wasserwirtschaftsamt Regensberg - International Danube Day. Read the Press Release. 28.6.11: Ulm News - Danube Day in Ulm. Read the article. 28.6.11: LocalXXL.com - Danube Day in Ulm. Read the event listing. 27.6.11: Südwest Presse - A day dedicated to the Danube. Read the article. 27.6.11: Coca-Cola Hellenic Makes a Splash on Danube Day. Read the article in: Finanznachrichten.de; Business Wire. 25.6.11: Südkurier - Danube Day: Children's art for Danube solidarity. Read the article. 27.5.11: Regierungspräsidium Tübingen - Tübingen District President, Hermann Strampfer, opens International Danube Day in Germany. Read the press release. 12.4.11: Kommunalnet E Government - Join in on Danube Day 2011! Read the article. 29.6.11: UN Information Service - Danube Day 2011 in the Light of the Danube Strategy - Get active for the rivers! Read the press release. 29.6.11: Regional Cooperation - On the 29th of June each year, the Danube Day is celebrated throughout the Danube Region. Read the blog. 29.6.11: EU Interact - Danube Day 2011. Read the event listing. 29.6.11: CSR Europe - Water Conservation Initiatives on Danube Day. Read the article. 27.6.11: The Live Positively Collective - Danube Day. Read the article. 24-27.6.11: Coca-Cola Hellenic Makes a Splash on Danube Day. 30.6.10 - Balkans.com Business News: Joint cooperation in the region - the first step in the use of tourist potential - is in full swing. Read the full article. 29.6.10: Radio Srbija: Bozidar Djelic, Serbian Deputy Prime Minister for European Integration, makes speech on EU Danubian Strategy on Danube Day. Read the article. 29.6.10 - Donaukurier.de reports on visit of Markus Söder, Minister of State for the Environment and Public Health, Bavaria, to Neuburg for Danube Day. Read the article. 29.6.10 - WWF Danube Day feature: Plenty to celebrate but more to do as 19 nations mark Danube Day. Read the full article. 29.6.10 - Südkurier reports on Danube Day 2010 in Donaueschingen, Germany. Read the article. 25.6.10 - International Danube Day 2010: Call for action and cross-border co-operation. 24.6.10 - European Commission promotes Danube Day 2010. Read about it at: www.ec.europa.eu/regional_policy/index_en.htm. 2.6.10 - Austria's Universum Magazine reports on Danube Day in Vienna. 4.7.2009 - Viata Libera newspaper reports on Danube Day in Tulcea, Romania. 2.7.2009 - EMportal reports on Danube river clean-up in Belgrade, Serbia. 30.6.2009 - TVA internet TV reports on Danube Day in Weltenburg, Germany. 29.6.2009 - Novinite Sofia News Agency reports on Danube Day in Ruse, Silistra and Lom, Bulgaria. 29.6.2009 - Xinhua News Agency reports on Danube Day 2009. 23.6.2009 - Slovakia's SME Online reports on Danube Day in Slovakia. 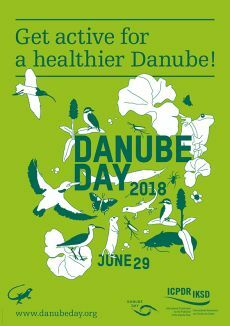 The ecological, sustainable use of water resources for the long-term benefit of people, businesses, industries and entire communities is the focus of the 5th annual Danube Day on 29 June. The rich and varied history and traditions of the countries sharing the Danube River Basin will be at the heart of festivities marking the fourth annual International Danube Day (June 29). In celebration of “Danube Day” on June 29 a wide range of projects and activities are being undertaken in all 13 Danube countries, as part of a major awareness raising effort.